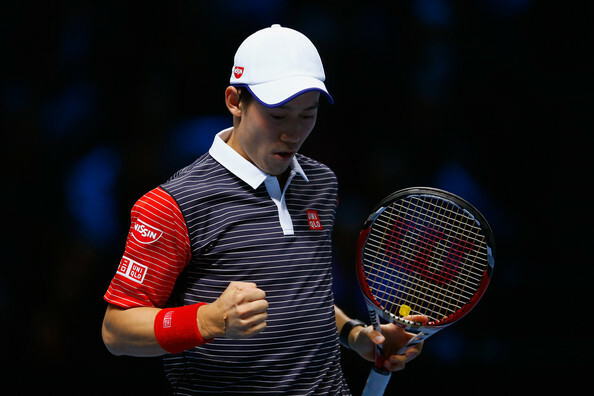 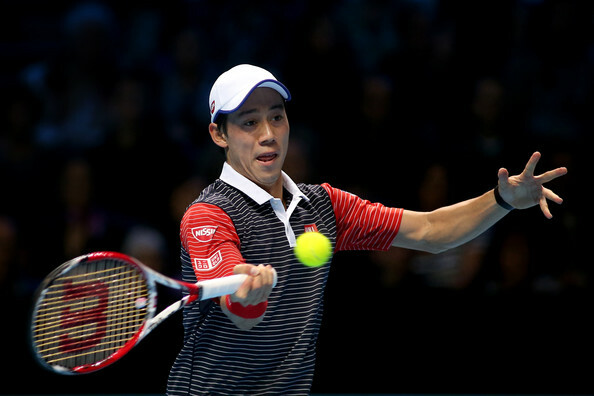 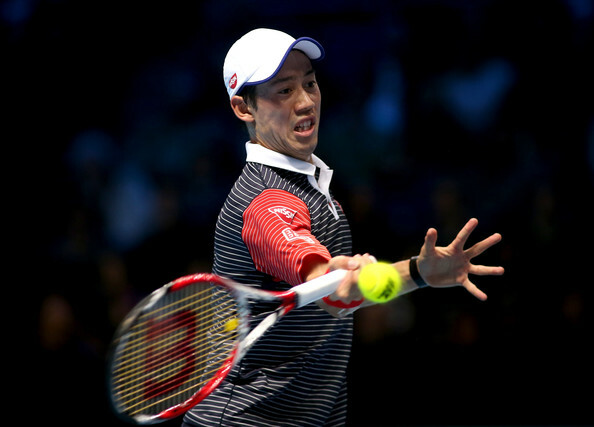 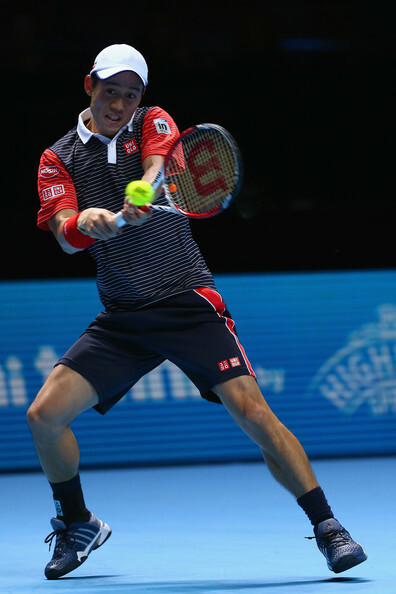 Kei Nishikori won his fourth straight three-setter against David Ferrer to stay in the hunt for a spot in the semi-finals at the Barclays ATP World Tour Finals. 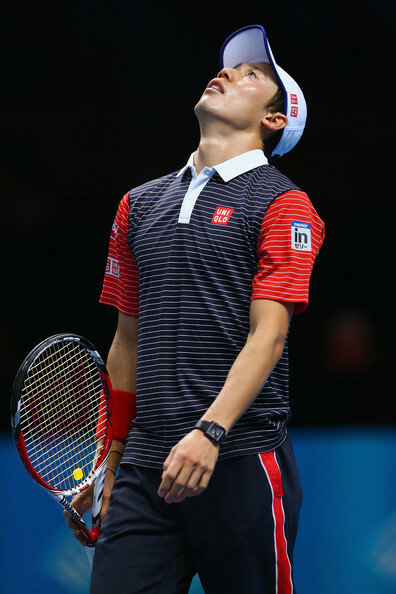 Nishikori is now 2-1 in Group B play. 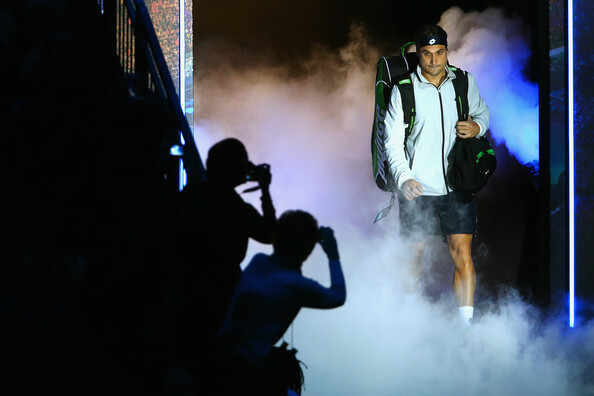 Andy Murray must now beat six-time former champion Roger Federer in straight sets during the evening session if he is to qualify for the last four. 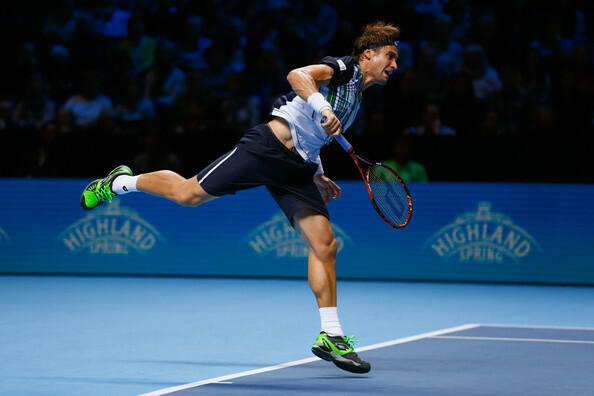 Murray last beat Federer in two sets - 6-4, 6-4 - in the the 2012 Shanghai Rolex Masters semi-finals. 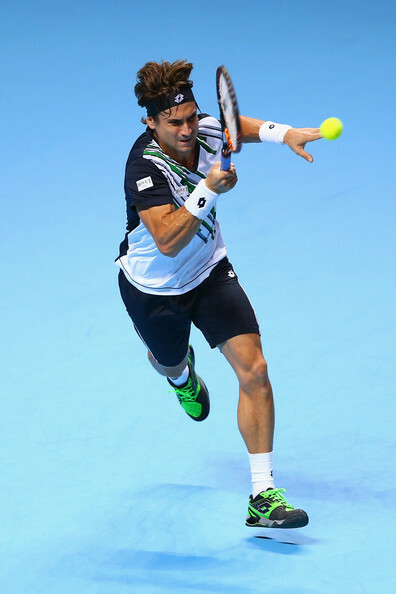 Federer, 2-0 in the round-robin stage, clinched his semi-final berth as a result of Ferrer winning the 46-minute first set. 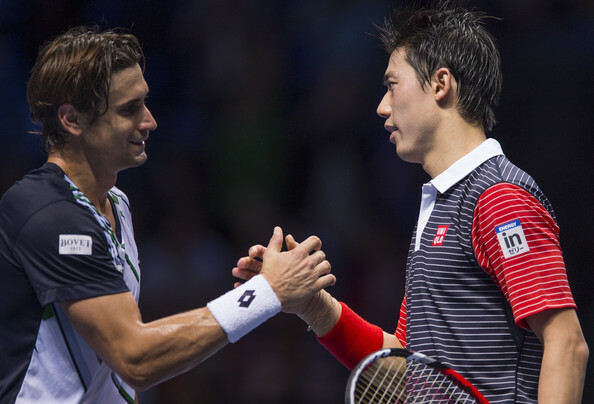 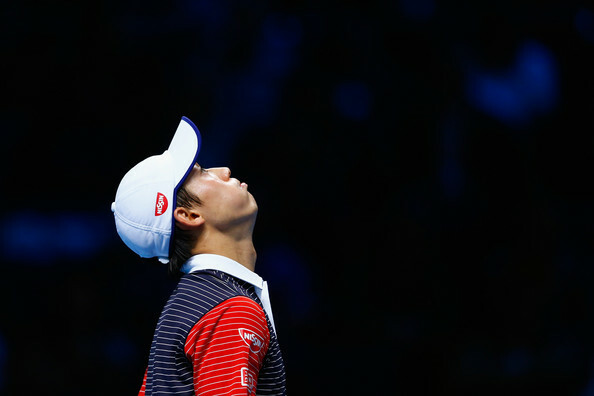 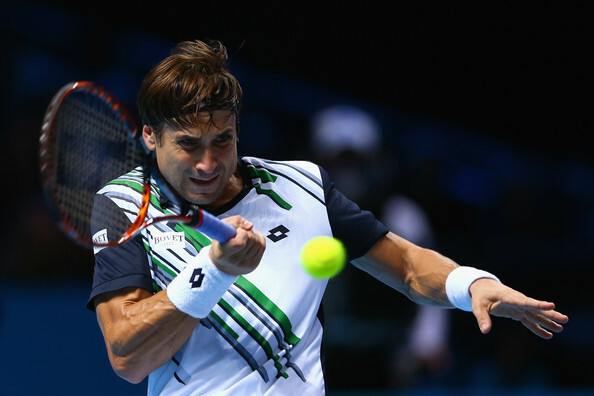 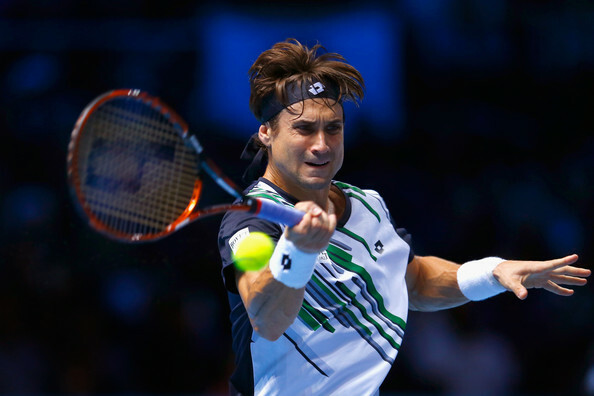 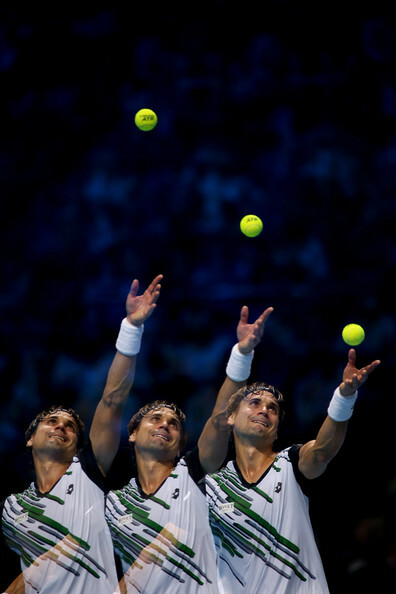 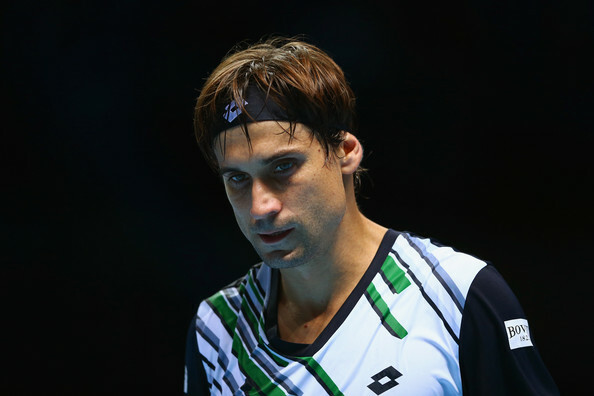 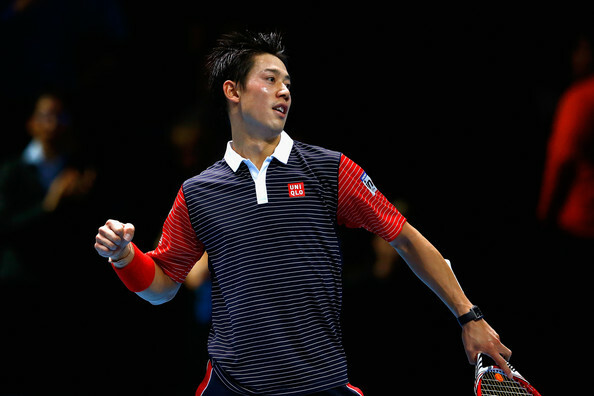 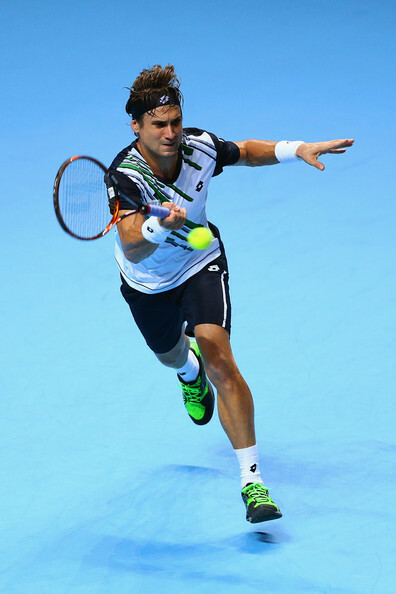 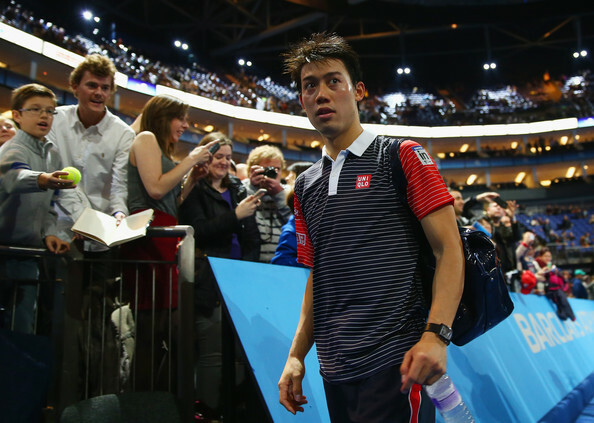 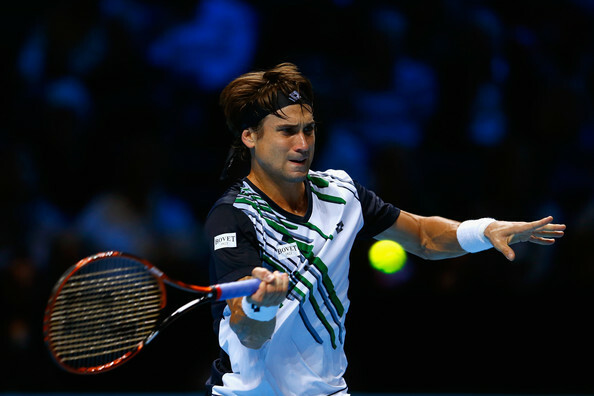 Ferrer saved two break points in the fifth game, while Nishikori’s resilience was tested in a 12-point game for 3-3. 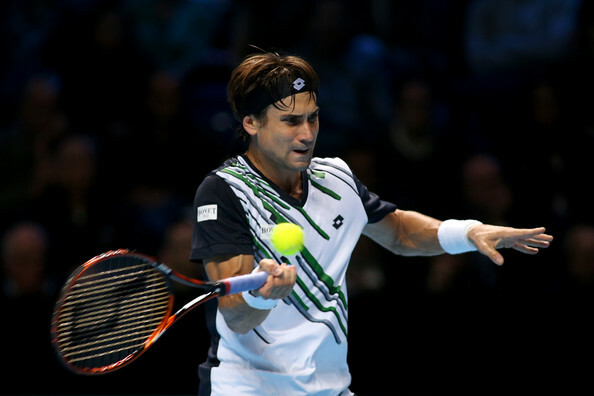 The duo then exchanges service breaks and with Nishikori’s unforced error count rising, Ferrer took advantage of a double fault at 5-4, with Nishikori serving at 15/30. 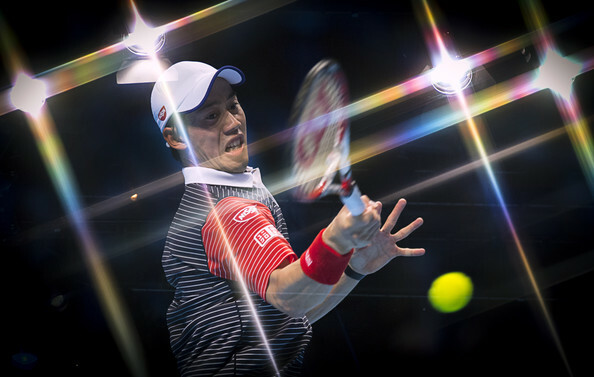 Nishikori stopped a run of three straight games for Ferrer by breaking the battling Spaniard in the first game of the second set. 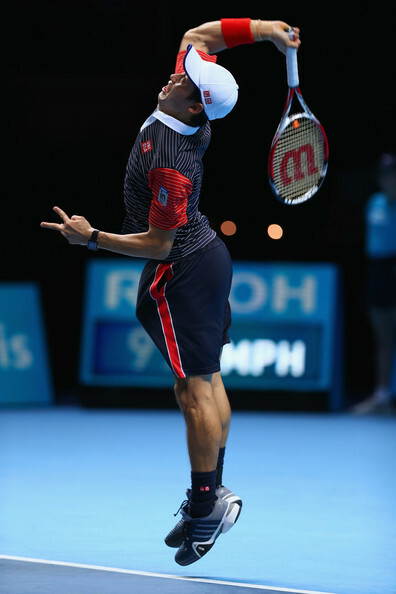 The first Asian singles player to compete at the season finale took a 4-0 lead in the decider and subsequently improved to an ATP World Tour-best 21-2 record in deciding sets this year. 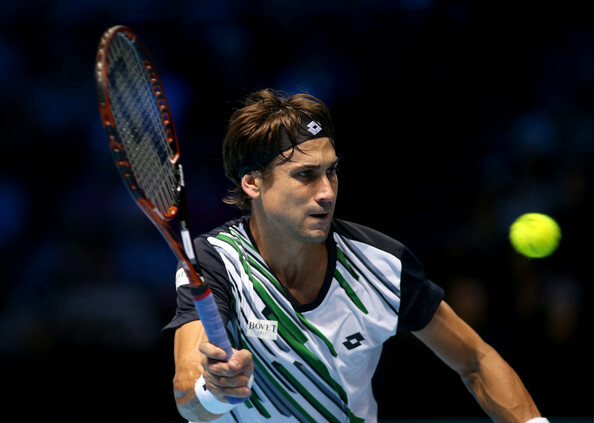 He also beat Ferrer at ATP World Tour Masters 1000 events in Miami, Madrid and Paris. 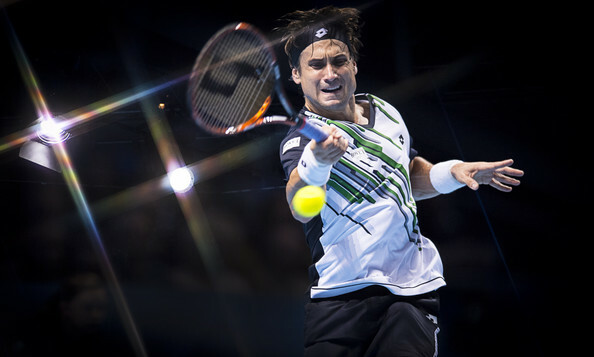 Ferrer is competing at the season finale for the sixth time. 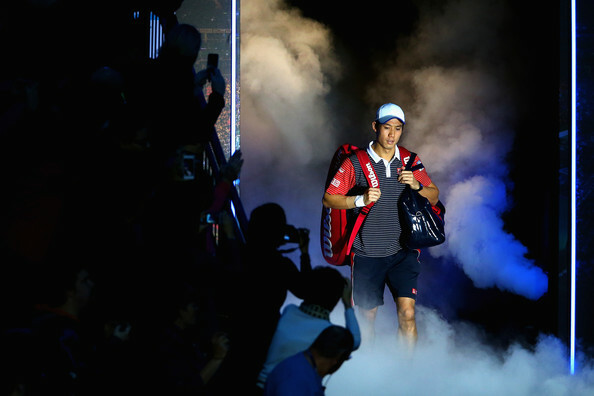 He finishes his year with a 54-24 match record.